Bishop Whipple of Minne­sota, who died re­cently, in his eigh­tieth year, merited more than any other man of our generation the title of a typical American bishop. At the service of every good cause, perfectly at ease whether in a frontier camp or in Lambeth Palace, this typical American, when made a bishop, became, by the force of his personality, a bishop of the church universal. So we of Minnesota were proud to regard him, a gift to the problems of the nation and of the world. A frontier bishop became a world bishop —the sort of character America trains. Abraham Lincoln, in his work, was another such. A typical American bishop should be in his public action fearless and comprehen­sive, in his private character adaptive and light-hearted. These four notes were clear marks of Bishop Whipple: courage to stand before kings, to plead his cause before the American Congress; breadth, that counted no worker for good to be outside his fellow­ship, no duty too difficult to be faced; adap­tiveness, which placed him at ease wherever he found himself, always master of circum­stances, always winning the spiritual out of the sordid; light-heartedness, which is a mark of nearly every successful American —Lincoln the ruler, Beecher the orator, Whipple the minister. No one who ever saw Bishop Whipple could forget his presence, could fail to rec­ognize him as a born king. Tall, slender, erect with the splendid carriage of his In­dian friends, his complexion bronzed from exposure and service, his features clear-cut, his eye penetrating, his hair, descending over his shoulders, as long and straight as that of an aboriginal patriarch, and always covered in recent years with a purple skull­cap, he used to come striding through the deep chancel of his cathedral, and down the broad aisle of the larger cathedral of the world, commanding attention, respect, and reverence. The undergraduates of Oxford and Cam­bridge are keen to discover a man, and have the right word ready at hand to greet him. In due course our typical American bishop received honorary degrees from both uni­versities. As he marched up to the front of the university theater at Cambridge, clad in the conventional scarlet gown, the cry of the delighted undergraduates in the gallery, according to the story current among us, was: "Here comes the wild red man from the West!" 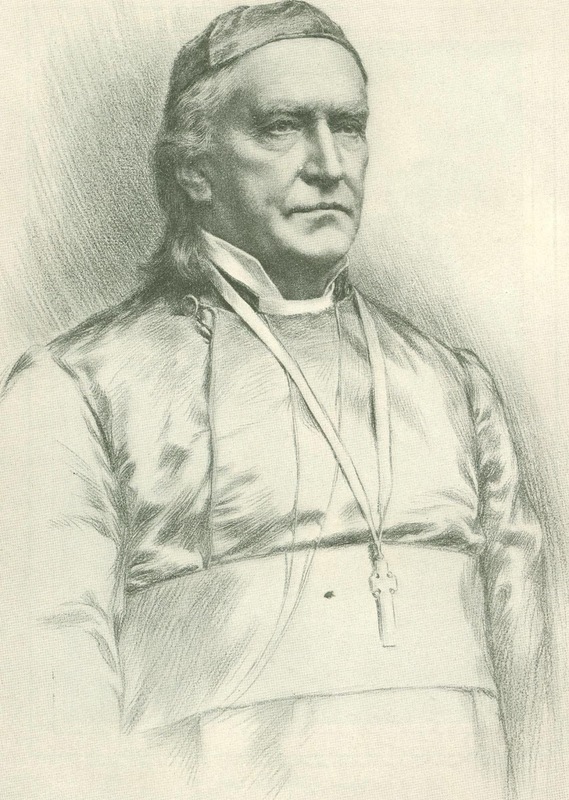 Bishop Whipple himself records that "the boys cheered me like mad," and that the wild Ojibways, on his return, garbed as doc­tor of laws, hailed him rapturously as "Kichi-­me-kade-wi-con-aye" ("Heap chief"). The mile-stones in the bishop's life are few. His greatness lies in the way he trod those miles. Born in Jefferson County, New York, in 1822, he was educated at Oberlin, and engaged for a short time in business. Or­dained to the ministry in 1850, he served for seven years as rector of Zion Church, Rome, New York, and for two years at the Church of the Holy Communion, Chicago. In 1859, still a man wholly unknown to the church at large, he was chosen bishop of the newly set off diocese of Minnesota. The forty-two years of his episcopate are the arena of his struggle and his fame. We will look at those years in the light of the characteristics already mentioned. His courage was preeminently shown in his attitude toward the Indians. He was the Indians' bishop from the first. His dignity, his reserve, the humor lurking behind the sober mien, his truthfulness and stanch loy­alty, they lovingly dubbed him "Straight Tongue," put him at once in touch with the Indian nature. Add to this his sense of justice, a dominant characteristic, and it was natural that the Indian problem should be almost the first problem faced on his com­ing to Minnesota as its bishop. Facing the problem, he fearlessly faced the Indians' enemies and their more discouraging luke­warm friends. He had to convert both the House of Bishops and Congress. He lived to see his conception of what was due the In­dian, and of what the Indian was capable of, in a large measure successful. How we loved to hear him, in public and private, talk of the Indian: now a quaint story of Indian stolidity, of unsuspected humor; now a touching tale of personal loyalty and Christian faith; now a striking record of how the Christian Indian Andrew Good Thunder. (Wa-kin-yan-was-te) saved the American settlements at the time of the Sioux outbreak in 1862. 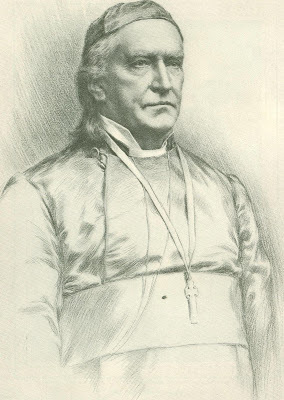 Bishop Whipple believed in the Indian; he believed all the good stories he told of him, he compelled a like belief in his unwilling brother bishops, in the prejudiced, even hostile clergy and laity and citizens of Min­nesota. The Christian Indians came to be a rec­ognized and welcome feature of a church council. Their presence to-day, still fre­quently in their blanket garb, is a pictur­esque reminder, in prosperous St. Paul and Minneapolis, in commercial Duluth and in educational Faribault, of the former masters and recent civilization of those proud cities. Enmegahbowh, baptized John Johnson, is a name familiar in missionary circles through­ out the whole American church. He was an early convert, a stanch friend of the bishop, and his companion on many arduous jour­neys. He is still living, the rector emeritus of St. Columba, White Earth. Mad-wa-gon-a-wint, whom, while still a wild Indian, the bishop won over as a friend on one of his official visits, stands forth as a very noble type of character. After the acquaintance thus formed, which was at first a political one, he walked one hundred and fifty miles to interest Bishop Whipple in wrongs done him and his people by the government, and Bishop Whipple traveled all the way to Washington on the business thus committed to him. His interviews with the authorities reveal the man. "I spent two weeks pleading for these Indians, and failed. I went to the Indian Office, and said to the commissioner: ‘I came here as an honest man, to put you in possession of facts to save another outbreak. Had I whistled against the north wind I should have done as much good. I am going home, and when you next hear from me it will be through the public press.’ The next day the commissioner waited upon ex-Sena­tor Rice, and said: ‘I do not want a fight with Bishop Whipple. What does he want? If it is money for an Indian school, we will help him.' Mr. Rice laughed, and answered: 'You don't know Bishop Whipple; I do. All that he wants is justice for these Indians, and he will have it. If he has made accusa­tions, you may be sure that he possesses the proofs.' The treaty was made that day, but only after one of the severest personal con­flicts that I have had in my life. "From that time Mad-wa-gon-a-wint was my devoted friend, and the next year he visited me at my home. We had long con­versations upon religion, and finally he said to me: ‘I want your religion for my peo­ple. I can see it; it is good. I like it for two reasons: I hear that when you plant a mission you stay. You are patient, and make the trail plain.' We planted a mission at his home, Red Lake, and called it St. Antipas. In the Book of Revelation it speaks of my faithful martyr Antipas . . . where Satan dwelleth.' Mad-wa-gon-a-wint became, from the first, a regular attendant upon public wor­ship. After due instruction he was baptized and confirmed, and from that time to the day of his death he faithfully kept the ‘praying-day,’ and sought to lead his people to the Saviour." With such friends among the Indians, little wonder that the bishop thought them safer frontier companions than the whites. He was telling me, within a month of his death, of a band of Christian Indians traveling in his company and leaving their bag­gage unprotected while they went off on a side hunt. "How do you dare leave your possessions without a guard?" he asked. "Safe enough," grunted his friends, sen­tentiously; "no white man within eight miles." He was a welcome advocate of his cause and truth everywhere, as a preacher-in great English churches, as a guest in great Eng­lish homes. He was presented to Queen Vic­toria, and among the trophies in his spacious Faribault library are her picture, her auto­graph, and a presentation copy of "My Life in the Highlands." It was a pleasure to hear Bishop Whipple present the cause of missions and preach his missionary sermon. 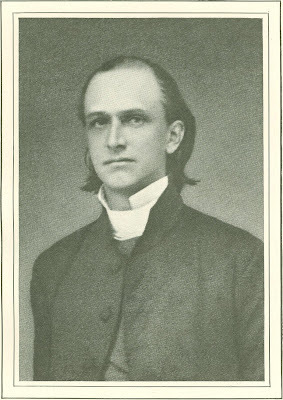 His familiarity with the whole missionary story, his own personal experience in difficult frontier and savage fields, his splendid memory of persons and details, his gift at picking out telling facts and putting them in captivating fashion,—all these qualities set on fire by a glowing love for man, made a sermon of which an audience could not tire. He marshaled the facts and arguments for missions in a way to compel assent. Of their truth and power his own story and his place in the church and nation were themselves the best witnesses. All this greatness seemed to come naturally to him. He was the same simple, unconscious, direct man in it all. 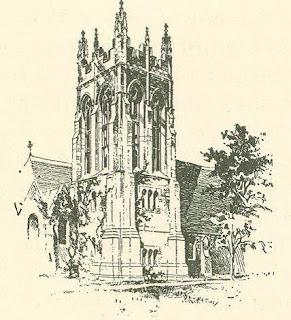 At a church club in St. Paul, speaking on some question of American church polity, he enforced his point by saying: "I received yesterday a letter from Mr. Gladstone which has some­thing to say on this subject that may inter­est you." Drawing the letter from his right-hand pocket, and reading the passage, he added: "And, last week, in writing me on another matter, the Archbishop of Canter­bury gave his opinion of this question in these words," whereupon he drew another letter from his left-hand pocket. All this as if letters from Gladstone and the Archbishop of Canterbury were in the pockets of every member of the club. His was the courage of prevision that saw great results afar from infinitesimal begin­nings. A boys' school, a girls' school, a divinity school, a cathedral crowning the heights above the prosperous city of Fari­bault, themselves precursors and models for splendid State institutions on the same heights, have made, in forty years, Bishop Whipple's cathedral city world-famous as an educational center. Akin to his courage, and its bulwark, was his breadth. The bishop was a broad churchman in the best sense; that is, in no partisan way. He was by tradition and temperament an old-fashioned and strict churchman. He loved a stately ceremonial for its picturesqueness, though he never let dignity yield to display. But he valued Christian faith and Christian service above all doctrinal definition or ec­clesiastical usage. Again and again he said: "I love all who love my Master and Savior. I love all whom he loves." This love he put into practice. He welcomed to his diocese churchmen of every type, so long as they were earnest in the Master's work. He never refused to speak where his voice might do good for the cause of Christ. He was not merely the bishop of the Episcopal Church in Minnesota: he was the bishop of the State of Minnesota. The Episcopal Church is respected throughout Minnesota, in all its hamlets, even where other denomi­nations have the entire field, as perhaps in no other State of the Union, because of Bishop Whipple's broad Christianity. The bishop's hosts on his early episcopal journeys were pioneer men who knew no­thing of the church, but who welcomed strangers and who encouraged all efforts to set forward their new communities. Detained at an inn by a four days' freshet, holding service every evening in the school­house, he called for his bill when at-last able to get away, and was reproachfully answered by the landlord: "Bishop, I am a wicked man, but I haven't come to that." A successful pioneer bishop must be able to adapt himself. He must be equal to any emergency, alike serenely master of all. His early promise was in other lines than ecclesiastical. Thurlow Weed said of him, when he became a candidate for holy orders, that he hoped a good politician had not been spoiled to make a poor preacher. His early political friendships served him in good stead in his struggles to secure justice for the Indians. A "good politician" he remained always, adding the serpent's wisdom to the dove's gentleness. When called to take up the new mission of the Holy Communion, Chicago, he found busy railway-yards close to his chapel. He asked the chief engineer how to reach rail­way operatives. "Read Lardner's 'Railway Economy' until you are able to ask a ques­tion of an engineer and he not think ‘you a fool.’" So instructed, he dropped in, one day, on a group cleaning an engine, and ven­tured a question: "Which do you like the better, inside or outside connections?" A torrent of discussion followed on connections, steam-heaters, exhausts; and at the end of a half-hour he remarked, in leaving: "Boys, I have a free church in Metropolitan Hall, where I should be glad to see you." The next Sunday every man was there. The bishop was just the man for a new country —its stage-coach travel, its rough sleeping-places, its wind-swept prairies, its enterprising people. Hardships were his daily portion, and he counted it joy to meet them. Unloose his tongue on the subject of Bashaw, his horse, own cousin to the cele­brated Patchen, and there was no binding it till we heard how that horse saved his life, on lost tracks, in prairie blizzards, and forgot the trials in the glory of the achievement. BUT through all his life his one shining mark was light-heartedness. The bishop's conversation on a visit made the visit an epoch. There was never one commonplace topic, thought, or word. Great and widely related themes were lighted up by a fund of anecdote, a sparkling wit, a ­kindling eye, a personality wholly possessed by the theme in hand. His stories are hard to reproduce. They should be heard from his lips—heard with laughter melting into tears, as humor went hand in hand with pathos, as an appeal to the conscience fol­lowed swiftly on some mirthful narrative. An old couple, hosts to the bishop on his wanderings, were very dear to us hearers. The old man had been on a lake steamer in a storm when "she ran ag'in' a rock and punched a hole in her bottom." "And what did you do?" asked the bishop. "I went to dippin' water," was the answer. "I thought God would think just as much of me if I was dippin' water to save those miserable critters as if I was a-whinin' and a-snivelin' over my sins." Very late in life he became convinced of his Christian duty, and met the bishop with,"It's all there, plain as print, and the old woman and me are goin' to be baptized." Coming forward for the rite, his rheumatism made kneeling difficult. He looked up with this remark: "Bishop, I put it off too long; I ought to have done it when my knees were limberer." In everything, anecdote or sermon, private conversation or public mission, Bishop Whipple made the one impression, that he was a man of God, serving his gen­eration with every grace and gift as a messenger of his Heavenly Father. He was buried the day after President McKinley's mighty funeral. The same solemn vestings served for both. The same burial service that had President in countless churches in the land was said for the Bishop in the Cathedral of Our Merciful Savior, Faribault. It was im­pressive, but it was simple. All business stopped. Cities sent special trains. Schools gave a chorus and a guard of honor. Eight bishops mourned their brother. Most appro­priate was the company of Indians from two tribes, lamenting "Straight Tongue." Inside the cathedral the hymn "Asleep in Jesus" was sung by the Sioux in the Dakota tongue. At the great west door the funeral procession paused in the presence of the multitude thronging the square for whom admission to the cathedral had been impos­sible, while the Chippewas from his loved White Earth sang in their own tongue "Jesus, Lover of my Soul," and Bishop Tuttle of Missouri led in the Lord's Prayer, and offered the supplications of the people in language of his own choosing. From the Century Magazine, 1902.